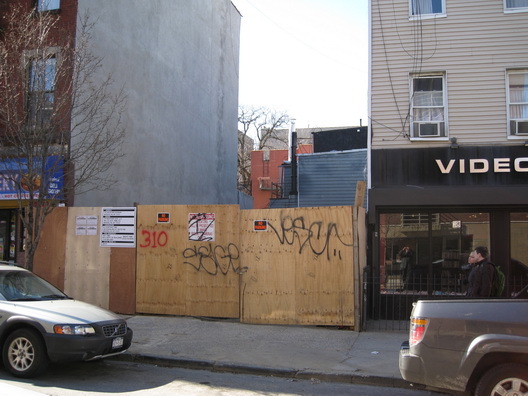 These are the sites of two new buildings that will rise on Bedford Avenue. 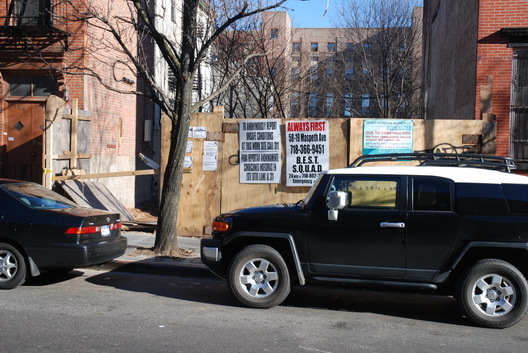 The lot above, which is 310 Bedford (at S. 1 Street), will be a five-story building with four units. It's designed by an architect named Armando Porto. The site below, which is 201 Bedford (at N. 6 Street) is another four-story building. It's from an architect named Asher Hershkowitz. The gap in the fence would be because it blew down on Saturday night. Someone called DOB and filed a complaint about it, including "nails protruding."